Man Winter blows in. 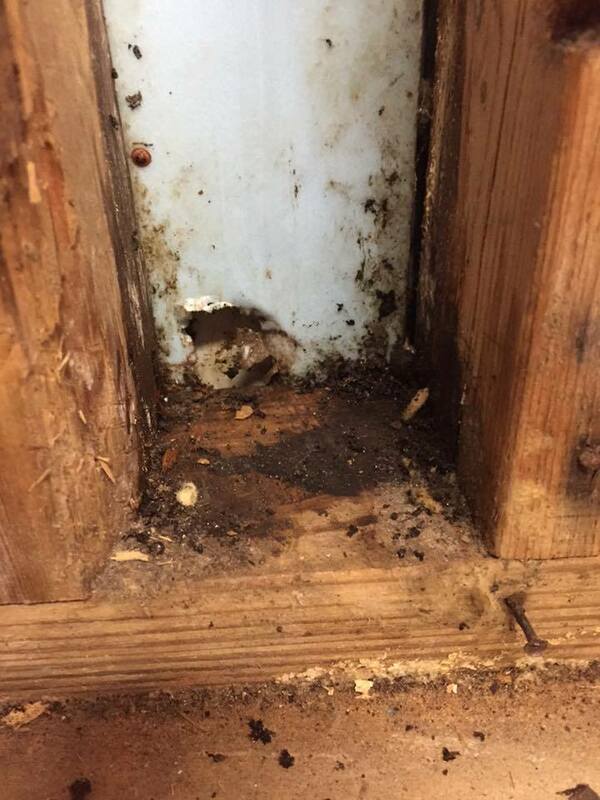 Here are some helpful tips to ensure that no curious critters sneak in through the attic, basement or other susceptible areas of the home. extremely important to contact a local wildlife control specialist or pest control professional instead of attempting to trap and remove the animal on your own. Screen vents Raccoons and squirrels often find their way into homes via uncapped chimneys, broken vents and other openings along rooflines. Ensure that these items are fully screened to prevent wild animals from making your home their own. Cover the trash Raccoons and squirrels often find their way into homes via uncapped chimneys, broken vents and other openings along rooflines. Ensure that these items are fully screened to prevent wild animals from making your home their own. Cut back vegetation Squirrels and other small wildlife are known to use tree branches to gain access to rooflines, where they can then find a number of ways to move indoors. Be sure to cut back any tree limbs or branches that hang too close to the foundation. A good rule of thumb is to keep vegetation at least 6 to 8 feet from the roofline. Clean up the yard Do not leave brush, leaf piles or other debris accumulate in the yard, as these materials make the ideal harborage site for small animals. Also, make sure that firewood is stored at least 20 feet from the house during the cooler months. Keep bird feeders out of reach Ensure bird feeders are only accessible by birds. Squirrels, raccoons, opossums and even bears are drawn to birdseed. Homeowners should also place birdbaths where small animals cannot reach them. Birdbaths and fountains may attract wildlife to the property, especially in areas where water is scarce.